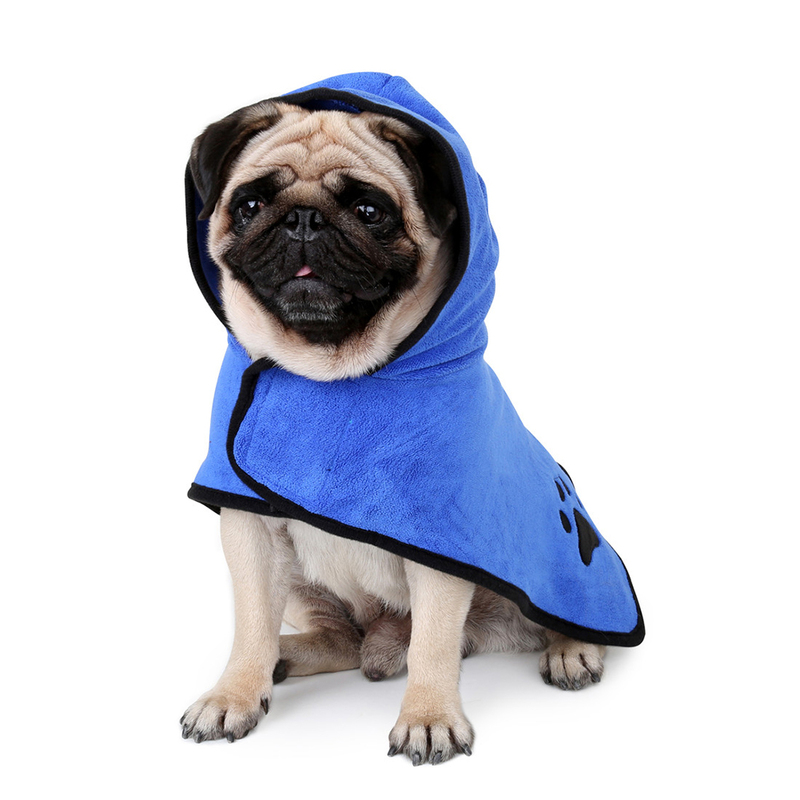 Wow talk about being spoiled, there very own bath robe. 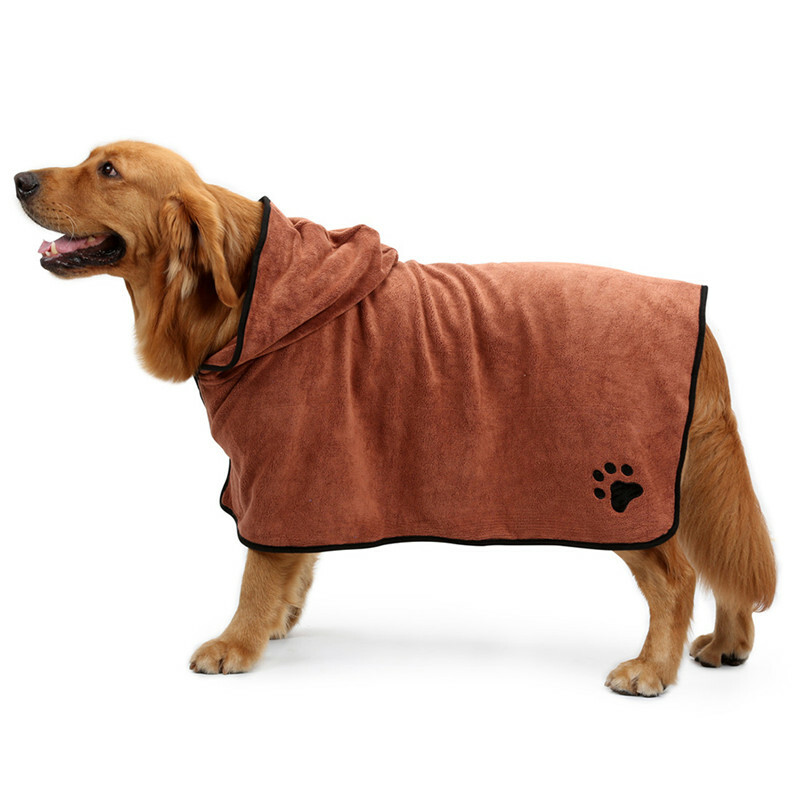 Please check chest size with your dog before buying, thank you! 2. 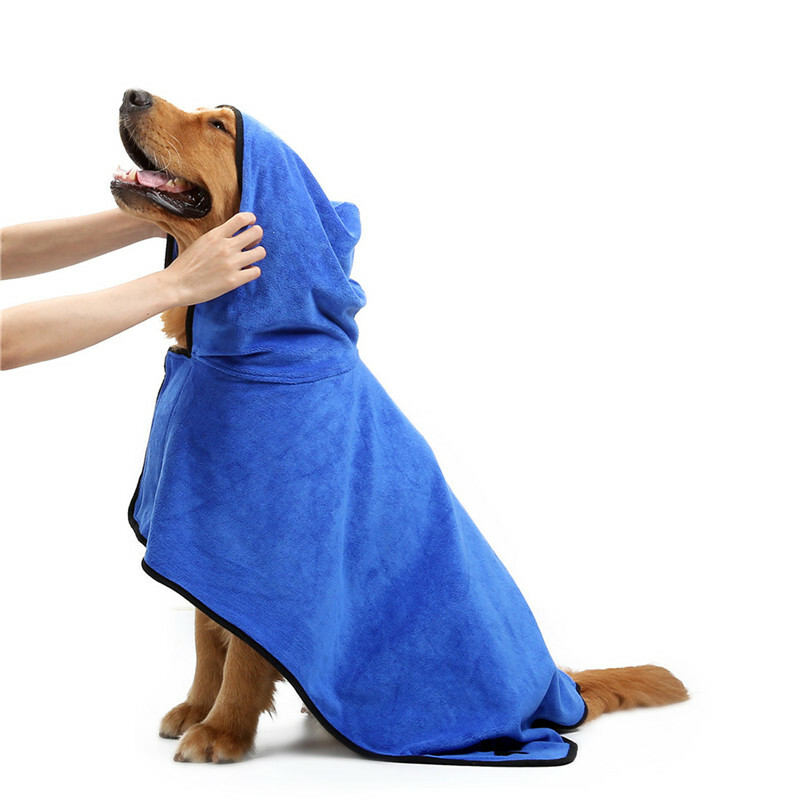 After taking a bath, put on the bathrobe directly, wrap the wet pet in the bathrobe and let it shake. 3. 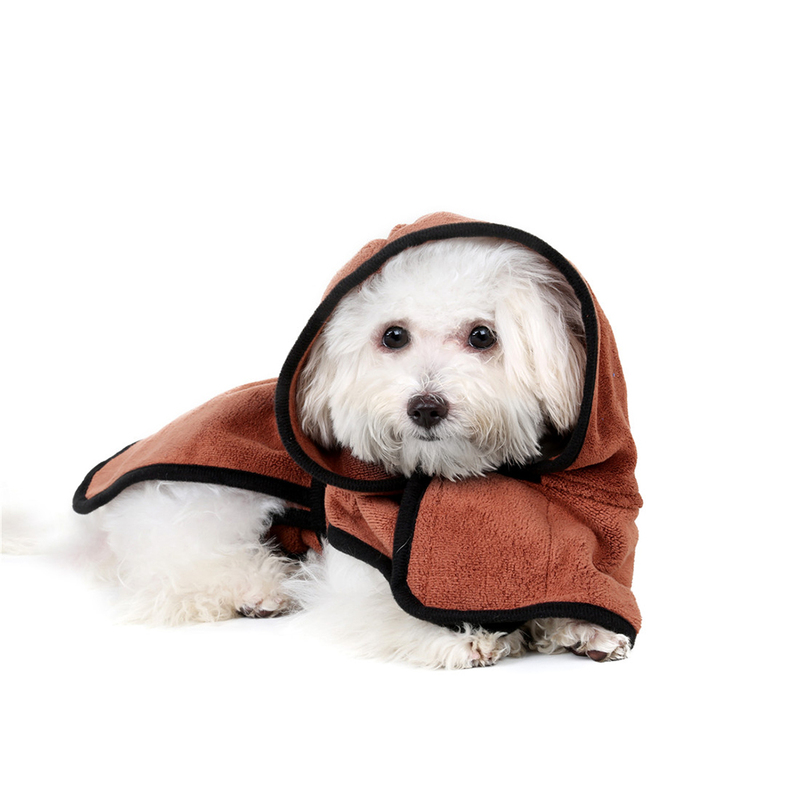 The superabsorbent fabric helps to absorb the moisture and is not afraid to wet the floor and the house. 4. 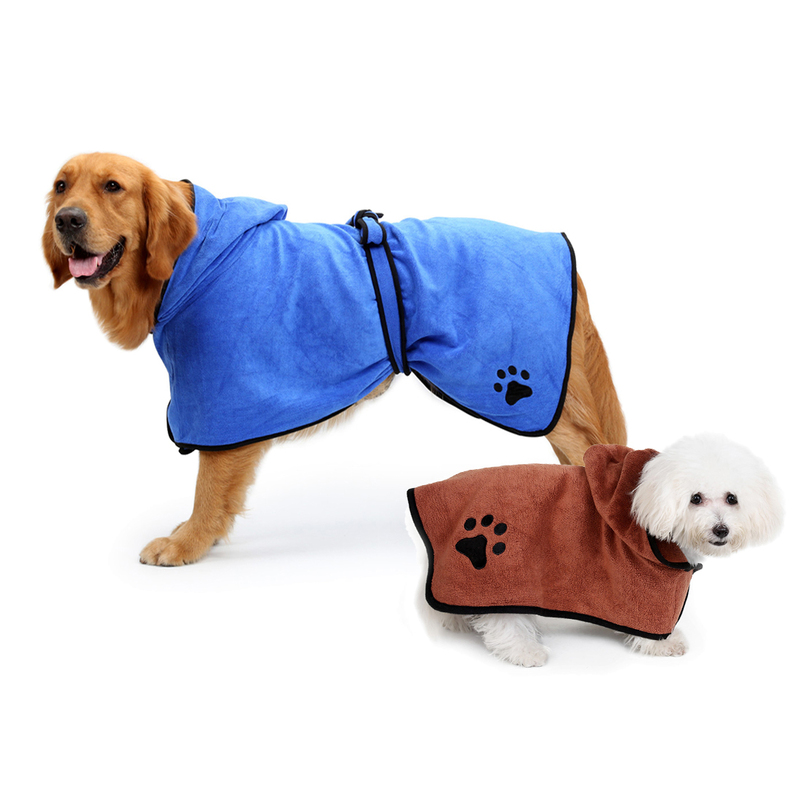 After the whole bathrobe has absorbed the water, you help the pets take off their bathrobes and blow them dry with a hairdryer. 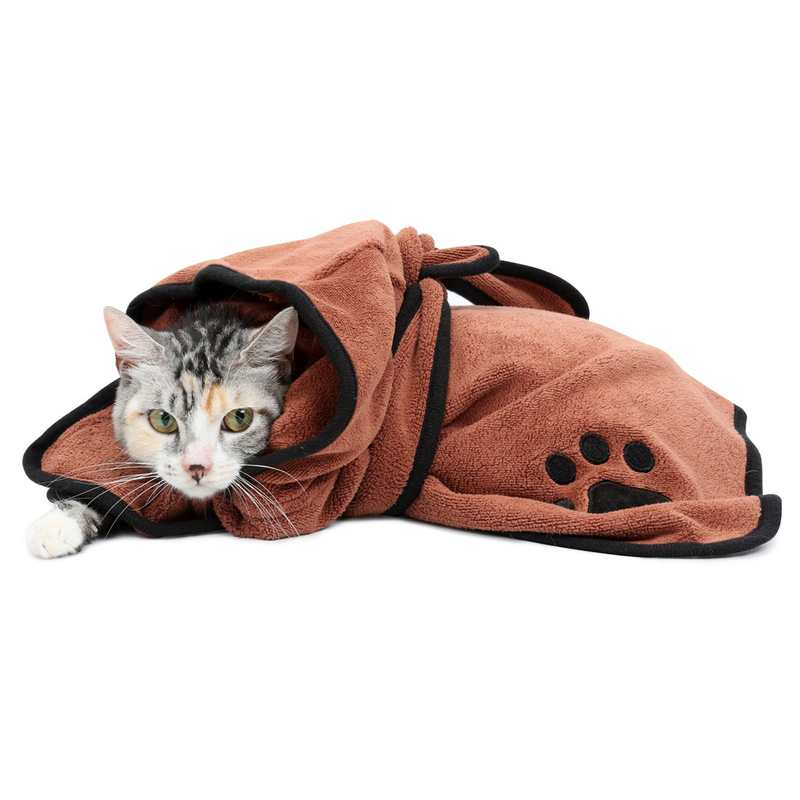 Sign up for our mailing list to discover product reviews for the newest pet toys and supplies, articles including the best pet care tips, and funny pet video compilations.